British economist John Maynard Keynes predicted in an essay, Economic Possibilities for our Grandchildren (1930), that by 2030 our grandchildren would be working a 15 hour week, due to the power of compound interest and to technological advances. 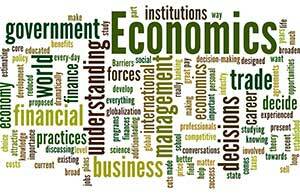 Keynsian economics gradually gained acceptance during the 1930s, then revolutionized global government economic policy in the aftermath of World War II. The 15 hour week seemed realistic In the 1960s, but then in the 1970s came ‘stagflation’, a crippling combination of inflation and economic stagnation. This, together with the OPEC oil price shock of the 1970s, caused a macroeconomic rethink and the rise of Monetarism, i.e. control of the money supply. Later, the New Classical Macroeconomics suggested ways of aligning Monetary Policy with Keynesian economics. However, although the Monetarist and Keynesian schools tend to agree on economic goals, they are still in hot dispute over priorities, strategies, targets, and tactics. Economists are still arguing about whether it was mainly via Keynesian stimulus measures that Australia was one of only 4 of the world’s 35 developed countries to get through the Global Financial Crisis (GFC) without a recession in 2009, see the 30 August 2017 ABC Fact check. However, although the 15 hour week is currently going backwards, maybe it is not a lost cause. Maybe the global populist momentum, including Trump and Brexit, will cause Governments to provide the pro-active supports recommended above Jim Stanford. In fact, many people and organisations have been arguing this case for years, in support of numerous causes. The article notes that the Consumers Health Forum (CHF) is now calling for a Productivity Commission inquiry into the benefit of government involvement in health insurance. It also seeks a robust public benefit test to ensure the community is gaining from this investment. A 21 September 2017 Media release, Health consumer groups appeal for private insurance to benefit ALL is “A joint statement by the Consumers Health Forum, Australian Hospitals and Healthcare Association, CHOICE, Public Health Association of Australia and the National Rural Health Alliance” which calls on the Government to establish a comprehensive Productivity Commission inquiry into Government assistance to health insurance looking at the costs and benefits of health insurance within the overall health sector. In some of our recent QESP Newsletter articles other voices have called for Government intervention, e.g, in Health, Changes to high-risk medical devices often supported by low-quality research, in education, AI, automation & 21st century skills needs: what do they mean for education and perhaps most importantly in innovation, Award Winning Innovation or High Tech Fantasy? Will all these voices fall on deaf ears? Can we still hope for a 15 hour week by 2030? A perceptive lady pointed out to me that many hard working people are now forced to work a number of 15 hour jobs each week just to make ends meet. Not quite what John Maynard Keynes had in mind.